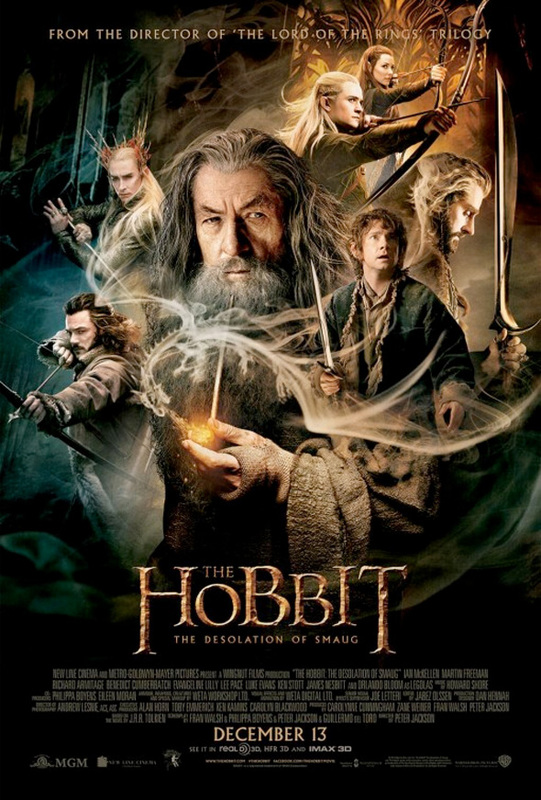 Hot on the heels of last night's new character posters for The Hobbit: The Desolation of Smaug, a final theatrical one sheet has emerged. The new poster features all seven of the characters who got their own posters yesterday, positioned in the traditional floating head and body form that is used for nearly every blockbuster film at some point in their marketing campaign. However, one cool addition is the smoky form of the dragon Smaug (voiced and motion captured by Benedict Cumberbatch) coming from Gandalf the Grey's pipe. It's not the most original poster that could have been created, but that's certainly a nice touch. Strange poster, maybe with the infinite possibilities of photoshop a painted one would be better. I know film companies think people aren't clever enough to look at drawings any more, but with the amount of characters it just looks a bit off balance. The Hobbit: Elves in Tights.